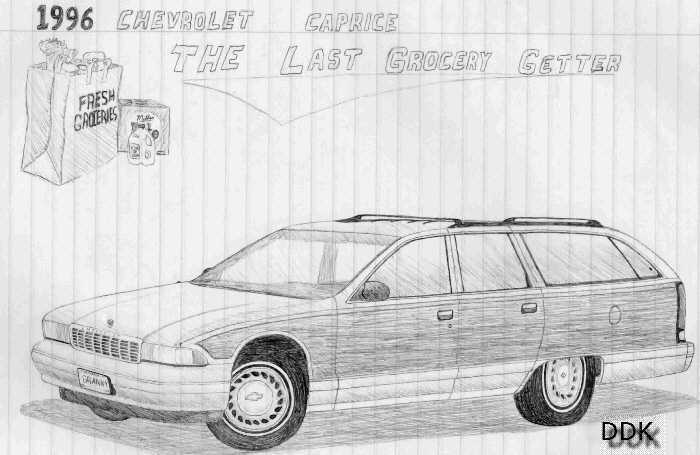 This ‘96 Caprice woody wagon depicts the “before” of my planned project. It is granny-stile from it’s woodgrain sides to it’s white-wall tires. This car would also make the ultimate sleeper. With a factory LT-1 and 4L60-E, it could easily be tuned to run 13’s. A posi and lower gears would make the biggest difference, but a chip, headers, exhaust, K&N filter, and a few other goodies would make this one smokin’ grandma car.